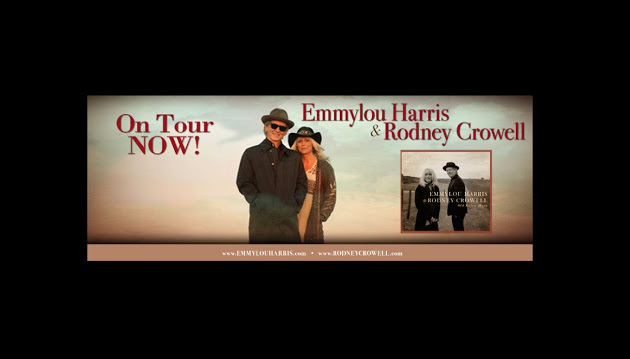 Emmylou Harris, winner of numerous Grammy awards, and her musical partner Rodney Crowell, gave a sterling performance to a full capacity Hall 1. Two solid hours of country music, from a very hard working band of stellar musicians, with just a bit of friendly chat and a few drinks of water to keep our singer going. Ms Harris told us that she had an idyllic childhood in Birmingham Alabama, and in 1974 she heard the music of Rodney Crowell, which was the beginning of a very fruitful musical partnership, which lasted through ‘Marriage and divorce, though not to each other’. My knowledge of this singer’s work is very limited, so I didn’t catch many song titles, but there were songs about love of course, as well as songs of friendship; the wide open spaces of the USA; songs about young men who disappointed their parents. Songs with titles such as Invitation To The Blues; Bring It On Home To Memphis; Way Of The World; The Road Goes On Forever; Even Cowgirls Get The Blues. Many of the songs were from the latest CD, The Travellin’ Kind. My favourite song of the night was a very insightful piece about ageing which mentioned the consolation of having grandchildren. The two singers sound good together with pleasant harmonies, and there were short instrumental break solos from the musicians, especially from the skilled guitar work of Jed Hughes. In fact I was wishing that some of the songs had lasted longer with more of both singers and musicians, but perhaps I’ve just become too used to longer jazz interpretations with loads of solos. Anyway the audience loved it, and there were three encores, so it was a good beginning to the main events of the Americana festival. Earlier, at the Press Reception, The McCrary Sisters give an indication of what Sunday's Hall 2 congregation have to look forward to - Hallelujah!